Companies need specific products that allow them to keep control of their communications, whether connecting via the Internet or using a local network. 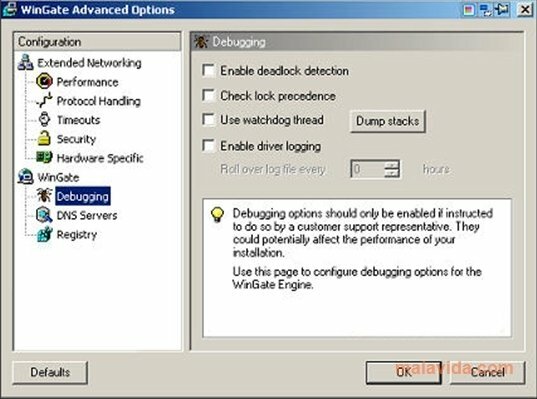 To do so, there are specific solutions like WinGate for example. Wingate is an application that allows the user to manage the Internet connection and share it with other local users, in a completely secure manner. To do so, it offers you the possibility to configure a communications server (proxy) in Windows, through which the rest of the computers on the local network will connect to the Internet. - Manage the Internet access of the rest of computers on a local network. - Improves the network's performance. - Possibility to incorporate different security elements. The most secure way to manage Internet access on your local network is WinGate. The trial version can be tested for 30 days.